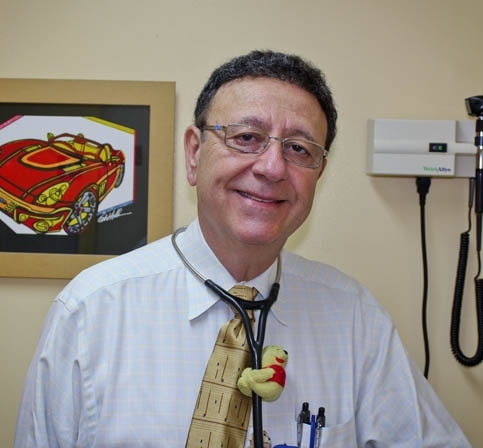 Dr. Andrew Rosenblum is a Board Certified Pediatrician. Dr. Rosenblum received his Medical degree from The Autonomous University of Guadalajara in 1977. He completed his Pediatric Internship and Residency at NYU and Bellevue Hospitals in New York City. Dr. Rosenblum is an Attending Physician at both New York Hospital Queens and Cohen's Children's Hospital at Long Island Jewish Hospital. For over 30 years, Dr. Rosenblum has served the Astoria community and sorrounding neighborhoods. Dr. Rosenblum is fluent in Spanish. With his caring and professional approach, Dr. Rosenblum is always available to his patients. And is now pleased to have joined Forest Hills Pediatrics. Dr. Rosenblum is married to his wife Barbara for 40 years and has 5 children, daughter Robyn, son Matthew, daughter in law Tracey, son Bryan and daughter in law Stefanie.